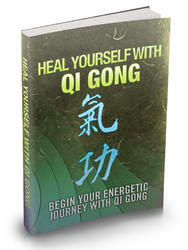 Chi-Kung is a purely physical martial art. It is relatively easy to learn and remains effective. Because of the total lack of mind related training, against a chi master or similar opponent, they have very little chance of winning. But against untrained opponents, they are extremely deadly. Against trained opponents, they have a good chance of winning. In medieval China Chun Xin or Noble Heart Kung Fu was very common among the aristocracy. Many young noblemen learned this martial art, because it was simple and easy to learn, yet very broad in it's scope. Chun Xin achieves this by taking shortcuts. While it teaches empty handed moves, weapons, a few grappling moves, and a little of just about everything else, it teaches nothing well. The moves are pretty, but often lack the finesse or power than many other arts have. Where Chun Xin excels though is in its scope. This is the only martial art that teaches every kind of martial art power. It is a hodge-podge of moves, powers, and philosophy that has been packaged into an superficially attractive package. Many of the noblemen who studied this form were duped by their masters into thinking that they were more knowledgeable or skilled than they actually were, but over time the art became more coherent and practical. Chun Xin eventually fell out of favor, but lingered on to the present day in it's current form. Students are still encouraged to study the noble arts of China and to cultivate honor and respect for tradition. The training is as eclectic as ever. Costume: Formal dress. In the training hall high quality white and gold Kung Fu uniforms are worn. Expensive suits for the men and dresses for women are the norm otherwise. Stance: Exaggerated Forward stance with one hand over the heart and the other poised for attack or salute. Advanced Defenses: Power Block/Parry, Multiple Dodge, Circular Parry, Disarm. Hand Attacks: Strike (Punch), Palm Strike, Fingertip. Basic Foot Attacks: Kick Attack, Snap Kick, Backwards Sweep. Jumping Foot Attacks: Jump Kick. Weapon Katas: Wen Jen (Sword), Chrang (Spear), paired Fu (axes) Modifiers to Attacks: Pull Punch, Critical Strike, Critical Strike from rear. 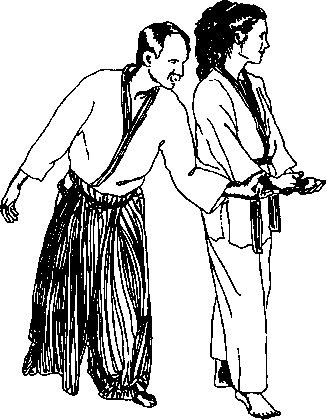 Martial Art Powers: Select one (1) Specialty katas (not including Chi Katas) and one (1) Martial Art Technique. If this is your primary Martial Art form, then the following other forms can be learned in a shorter time: Gui Long Kung Fu. Level 1: +2 to Roll with Punch/Fall/Impact, +1 to Parry/ Dodge, +1 Initiative. Level 2: +2 to Maintain Balance, Critical Strike on a Natural 19 or 20. Chun Xin is the art that teaches a little of everything. If you are interested in learning one martial art that is not too fancy, but will cover you in just about any situation, this is it.